Please TESS, tell our readers briefly WHEN, HOW, WHERE or in WHICH circumstances we met? 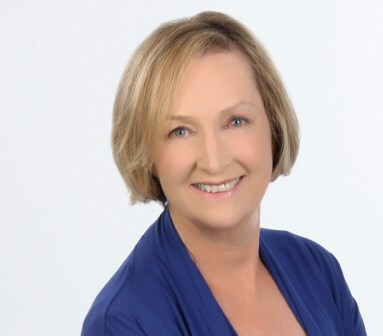 I met Roseline through another business owner at the time when I was developing my breathing training centre in Canberra Australia – a unique physiotherapy practice in that all the focus was on helping people with breathing-related problems. It was a new concept and Roseline’s talents and intuition in making things work were a great help. Moving things (objects and furniture) around, allows new energy to come in and increased clarity of thinking. Things happen! I had always wanted to work in an area that helped people achieve and maintain good health and fitness. That’s why I studied health sciences and physiotherapy. 20 years ago in my search to help two of my children who had chronic asthma, I came upon some fundamental information and research about breathing that was outside what is traditional physiotherapy practice. It freed my children from asthma. I studied several breathing methods, in particular that which was the development of a medical doctor from Russia -Prof Konstantin Buteyko. I then established my breathing training business. 4. What are the five words that people would use to describe BreatheAbility.com? 5. What was the purpose on starting your BreatheAbility business and how has the concept come about? I wanted to share the knowledge and skills of better breathing with as many people as possible. I wanted no other mother to experience what I had while I watched my children struggle to breathe. I wanted people to know that the key to true health, restful sleep and vibrant energy was getting their breathing right. The most common issues I help people with are snoring, sleep apnoea, insomnia, asthma, COPD, nasal problems, chronic mouth breathing, anxiety and panic disorder, fatigue conditions and athletes looking for enhanced sports performance. In the corporate world, the main issues are workplace absenteeism and poor productivity related to poor quality sleep. The major part of my work today is speaking and training – public, professional association, healthcare organisations or corporate seminars and workshops. I also do training for health professionals wanting a career in breathing education. I only take a limited number of clients per year for one-on-one breathing retraining. When a client comes to see me for the first time I take a detailed health and symptom history and assess and observe their baseline breathing pattern. From this assessment I can identify where their breathing pattern differs from the ‘physiological normal’ way to breathe and explain to my client the likely contribution their faulty breathing habits have made to the symptoms they are experiencing. There are usually several ‘ah ha’ moments because for many this is a commonsense explanation of what is behind the breathing-related problems that trouble them, and explains the difficulties or failures they may have had with other approaches. I then decide what is the first change or two that are required and start on them immediately. Changing your breathing is actually relatively easy – you are breathing all the time anyway so you can start doing it in a better way immediately. It is as natural as taking your next breath… differently! 9. What advice can you offer to people who are just discovering BreatheAbility? It is important that we value breathing. It is the most fundamental function of the human body and over 90% of people make a poor job of it. The simplest things in life are often the best : changing the way you breathe yourself, has to beat having a machine or medication do it for you. At Breatheability International, we believe that getting your breathing right is the foundation of true health and well-being. 10. Do you have a book/CD that you would like to recommend? 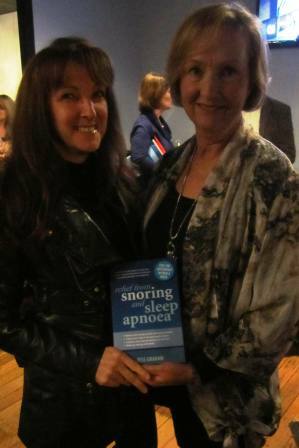 In 2012 I published a book “Relief from Snoring and Sleep Apnoea” : a step-by-step guide to restful sleep and better health through changing the way you breathe (Penguin Books). It is a practical guide to improving your breathing and getting relief from breathing-related problems. It has a 5 Day program that is quick, easy to follow and effective. While it is specifically written for people with sleep-breathing issues, the information and strategies there for improving breathing may also be of help to people with asthma, breathlessness, persistent cough, nasal problems, insomnia, anxiety, panic attacks and other breathing-related disorders. Those interested in one of our training courses and workshops (public or professional) or in having me speak at an event can contact us through the website or + 61 (0)2 81881343. Our office is based in Canberra Australia – we travel worldwide. A corridor is usually long and narrow which encourages Sha Chi to speed 😦 ! (Sha Chi being rushed energy, what we don’t like in Feng Shui). It is essential to help Chi meandering and therefore encourage items and decor that will smoothen the Chi flow so that it travels in curves. In Feng Shui, for this purpose we use ‘cures’: whirlwind, mobiles and heavy objects. Today, I went to a new beautician. 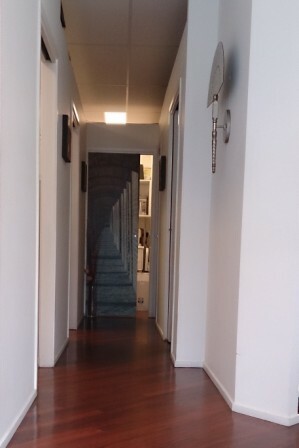 While I was sitting on the chair in the waiting area, I was facing the end of their corridor where the door had been paper mounted with a picture doubling the effect of Sha Chi – big mistake! In front of that door showing another long energy escape they had placed on the floor a vase with dried (dead) flowers 😦 . Another mistake in their layout is the opening above each room cubicle, it means that you could hear all that was said (and endured in case of waxing 😛 ) in all the rooms. What would have been better on that back door? 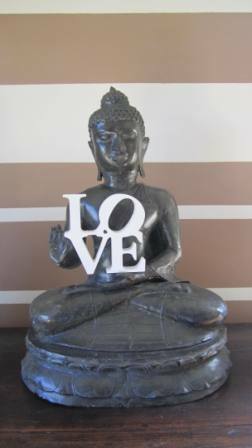 A picture of a heavy object – for example of a large Buddha, a mountain or a lovely landscape that would open that space. I can only encourage those of you who have similar business to keep the rooms private and use instead one way mirrors (if there is no receptionist) to help the practitioners to see who enters or to opt for an internal camera system. Yin & Yang is movement, is change, is evolution. 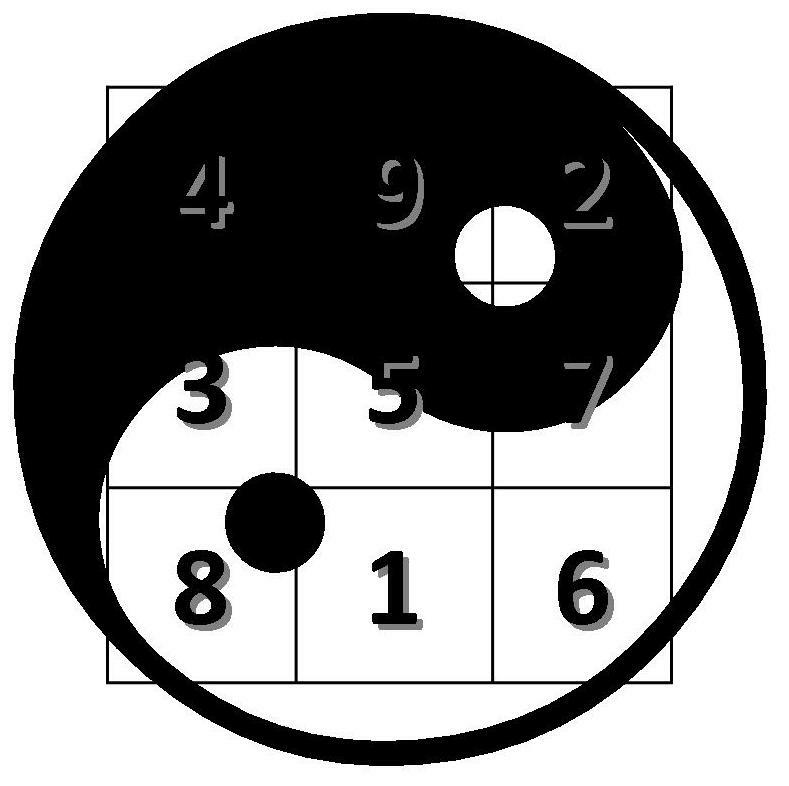 Very seldom the 9 sectors of our life (corresponding to the Magic Square) are all perfectly well balanced. Today, place the Yin & Yang symbol onto your life and see what is quiet (Yin = dark) what is active (Yang = white)! For example – I am about to go to Europe, solve family matters (at this stage) and hopefully also start new projects. As reflected in the picture above, the emphasis (Yang) of my life is heading in sector ‘3’ mainly about family and past need to be solved during this trip (to start with). Yin is covering sectors 4 & 9… while traveling, I’ll be spending money and investing my time and will be working on my self confidence and well-being (probably will be challenged by what will be happening in sector 3). On the other hand, in sector ‘2’ the white dot/eye is present, something Yang could well happen there! In a few weeks all will be very different. In your life too! 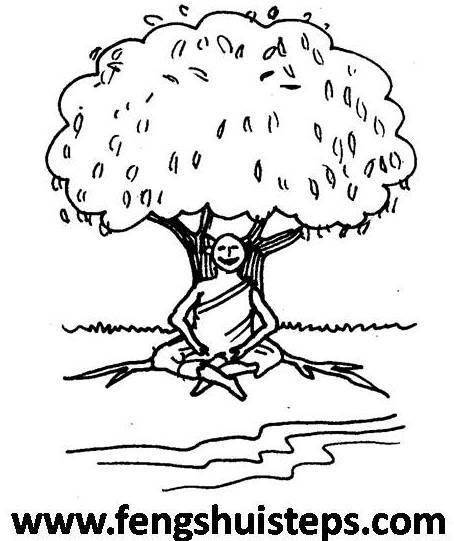 Is it easier to be at Peace meditating under a tree? 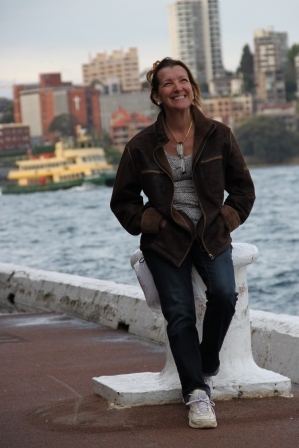 Is it more rewarding to feel balanced, peaceful, happy and meditating in a busy environment?